The option to resolve the Ayodhya dispute through community dialogue is "over" and the BJP will work towards the construction of a Ram temple here through constitutional or legislative means, the party's Faizabad district chief said Tuesday. Diwali celebrations in the holy city of Ayodhya this time is taking place in the shadow of the Ram temple debate as the chorus has grown within the party and the Sangh Parivar for the construction of a temple at the Ramjanmabhoomi through an ordinance. "The chorus for bringing ordinance to build it is growing and the BJP will take a legislative route or one that is within the framework of the Constitution. The option of resolving the issue through community dialogue is now over (batchit se masla hal karne ka rasta khatma ho gaya hai)," Pandey told PTI. "We reach out to people to feel their pulse at ward level, and they want that Ram temple should be built," the district BJP chief claimed. 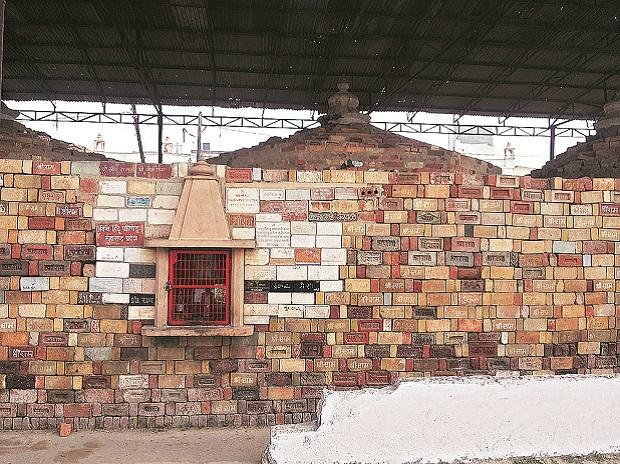 Many BJP leaders, including Uttar Pradesh Chief Minister Yogi Adityanath, have been pitching for speeding the work towards construction of a Ram temple in Ayodhya in western Uttar Pradesh (UP), and some of them, including Union minister Vijay Goel, have suggested taking the ordinance route. Asserting that a Ram temple will be built in Ayodhya soon, Adityanath said Sunday in Haridwar a piece of good news regarding this awaited devotees all over the country. As many as 14 appeals have been filed against the 2010 High Court judgement that suggested that the 2.77 acres of the disputed land be partitioned equally among three parties the Sunni Waqf Board, the Nirmohi Akhara and Ram Lalla.